Mt. Pleasant, Michigan // 51,000 sq. 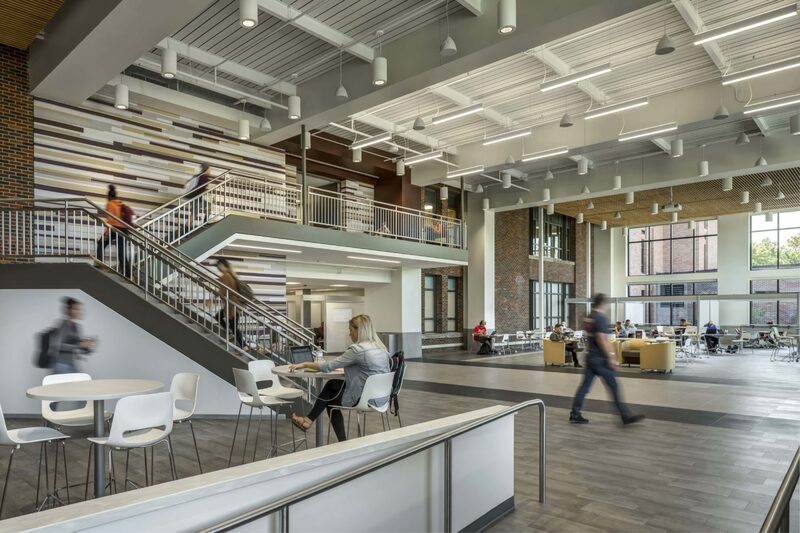 ft.
Central Michigan University desired to renovate and design an architecturally consistent and student-friendly academic environment. 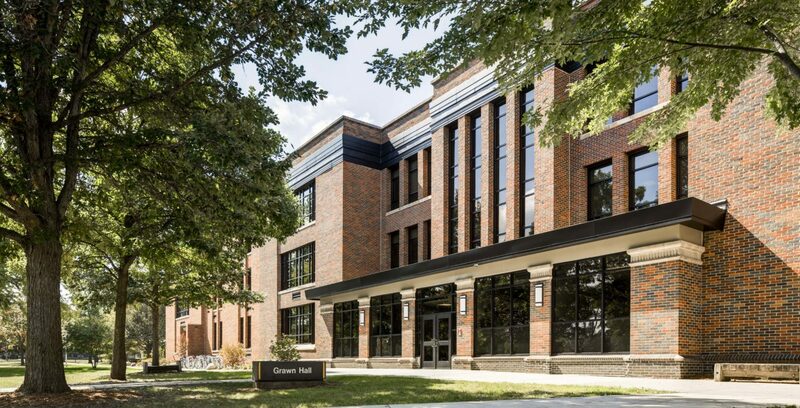 The University’s goal was to change the perception of Grawn Hall from a simple classroom building, to a collaborative and technology-rich space for student gathering. 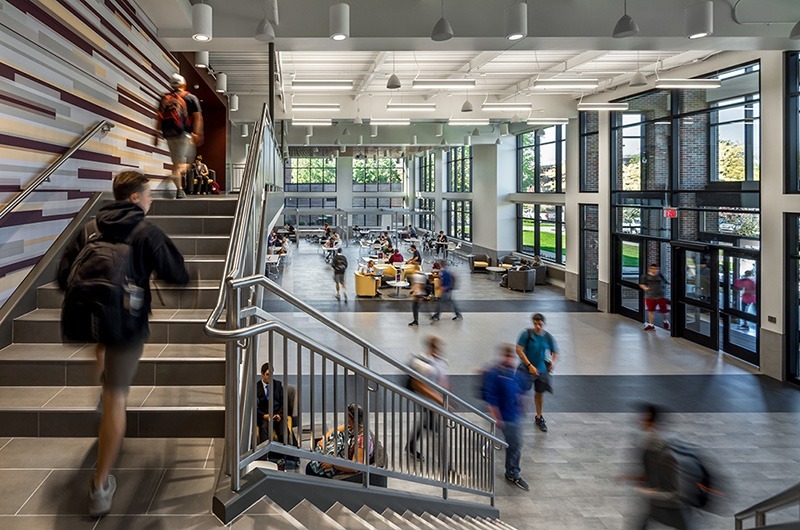 A key part of TowerPinkster’s design was developing a space where students want to spend more of their time. The space includes 4-6 publicly available team project spaces appropriate for small groups. 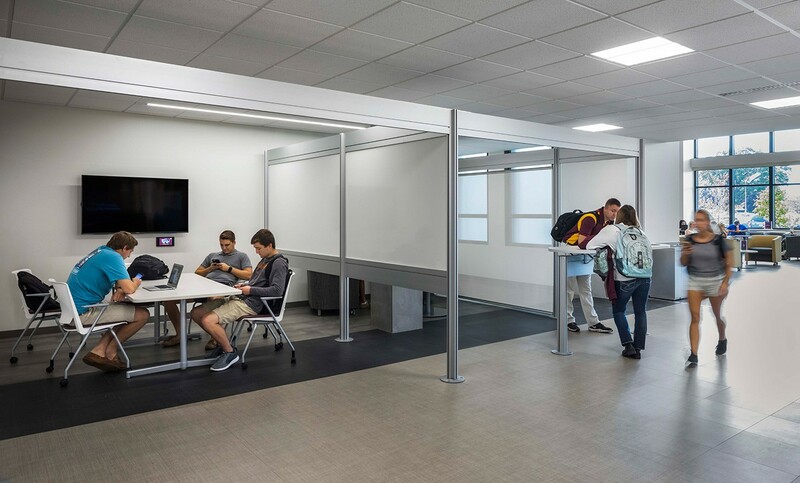 These spaces offer technology-rich, flexible accommodations for collaboration. 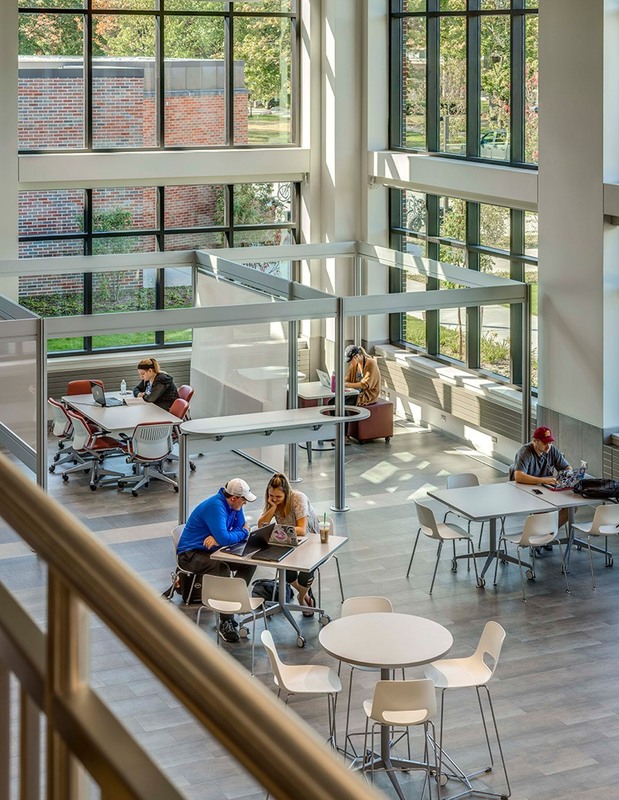 A student reading/study room was also designed along with outdoor seating. Larger spaces provide accommodations for 150-200 people for seated speaking events, as well as space that can be used for catered receptions. 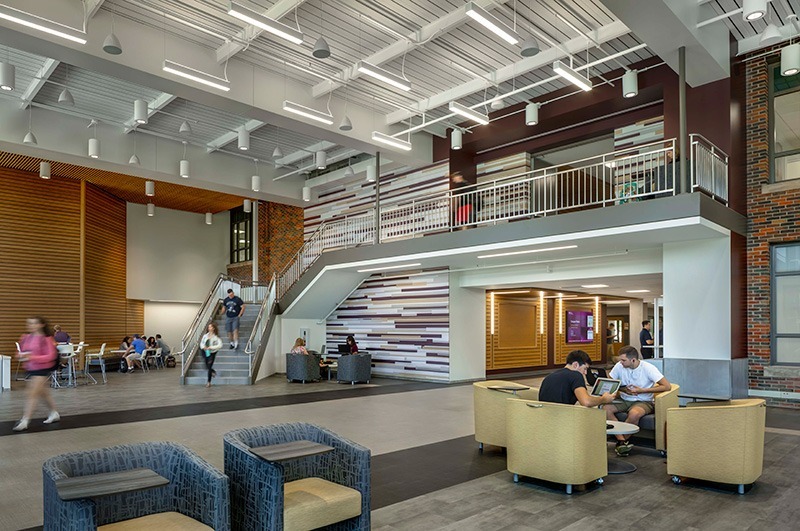 The renovation creates a cohesive, modern space throughout the entire first floor of Grawn Hall while offering a more visually connected Business Student Services office which serves as an advising center for the College. 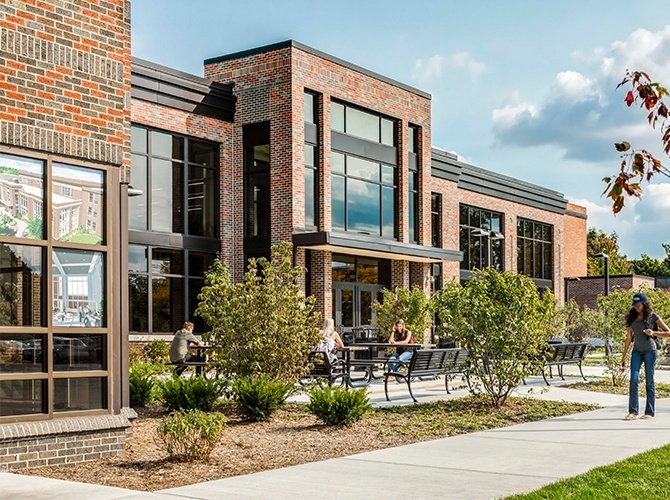 The dynamic learning environment enables the next generation of College of Business Administration graduates to excel.